The trends in American higher ed go toward higher tuition, more debt, and away from state support. Still, what’s life without a degree in the new economy? 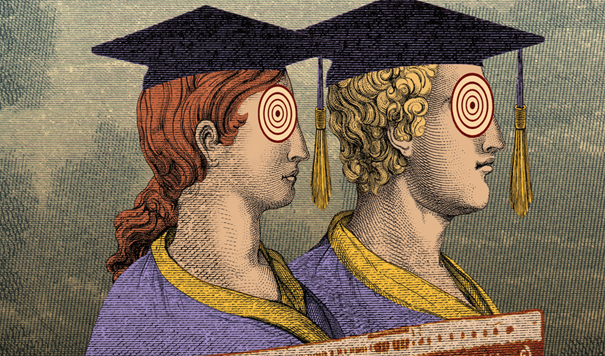 What do the numbers tell us about the state of higher learning? 1. 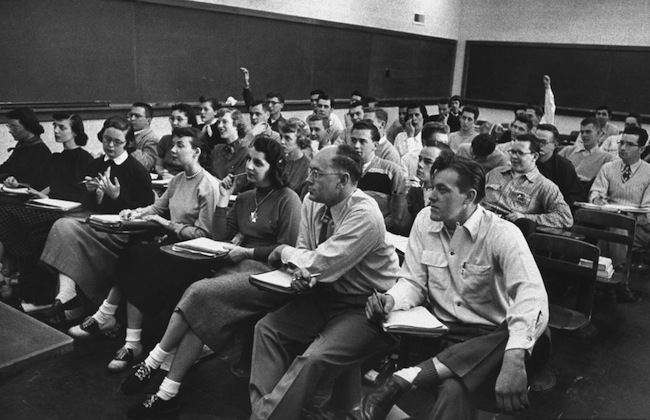 “College” means something different from what it meant a generation ago. More than 70% of the 21 million students are seeking degrees at public colleges and universities. Almost half of them attend two-year institutions like community colleges. More people than ever are being educated past high school — but that education doesn’t look the way it did 50 years ago. (Source: The Almanac of Higher Education, 2013). 2. States began to cut public college and university budgets in 2008, and the cuts are deep. On average, states have cut $2,394 from funding per student at their institutions of higher education since 2008. That’s a drop of 26.7% over six years. During the same time period, tuition has risen on average $1,282 — an increase of 20%. So public colleges and universities are passing tighter budgets onto students and their families. Consider the story of University of Massachusetts at Amherst, in two charts. The first shows the rate of annual state appropriations and the annual average price of tuition for all public higher education in-state. As appropriations per student drop, UMass has filled the gap in funding by raising fees. Back in 1987, tuition payments represented just 2.3% of UMass’s annual revenue in 1987. Now that number has risen to 29%. Until a turnaround last year, a report from the State Higher Education Executive Officers observed the same trend in every state except North Dakota. 3. Student debt has surged. The total amount of student debt, having tripled between 2004 and 2012, is one of the economy’s unthinkably large numbers: $1.2 trillion. $1 trillion of that is federal government debt issued through Sallie Mae, meaning that the government profits from the interest and taxpayers are exposed to the default risk. The problem is especially pronounced in the for-profit private colleges, where almost all graduates borrow, and almost a quarter of them default on their loans within 3 years. (Source: College Board and Suzanne Mettler in The New York Times). 4. Still, college makes a difference. Despite the economic risks, the reward — the often-cited statistic that a bachelor’s degree is worth a million dollars over the course of a lifetime — has proven irresistible. 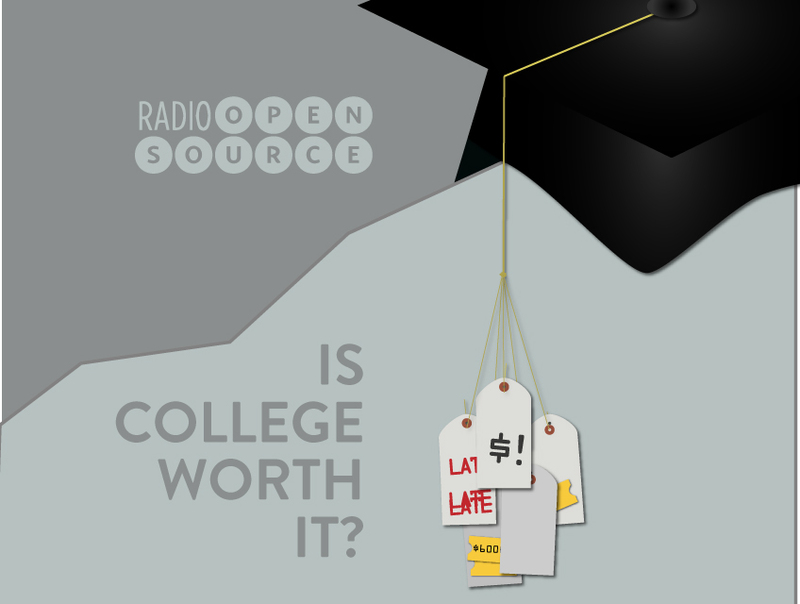 The Pew Research Center found that the cost of not attending college is indeed rising. No degree means much higher rates of unemployment and poverty and lower lifetime salaries. Is the good life possible without higher education? What do you see in the numbers? Leave a comment and be sure to listen tonight, May 8, at 9 ET on WBUR.